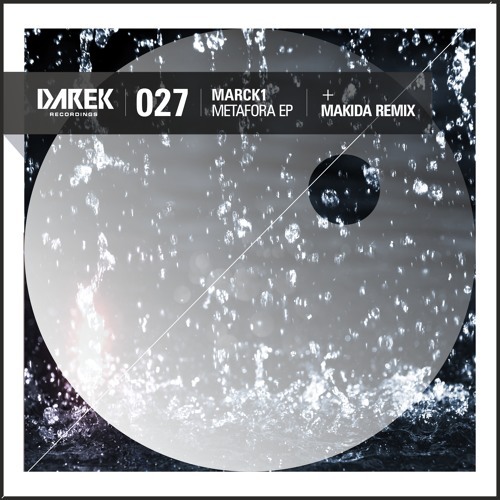 Italian DJ/Producer Marck1 aka Marco Grossi, presents his debut release at Darek Recordings. Metafora EP includes four original tracks, full of captivating moods and sonorities. Going from atmospheric to deep or more dancefloor oriented productions, this release is a must have. It also includes a remix by the promising Italian group from Milan, named Makida (composed of Kilo & Dad). You will for sure be surprised by this new release, born out of friendship, a lot of dedication and studio work. Marco Grossi started DJing in the year 2000, part of his adventure also commenced as a singer and then as a DJ in various clubs in the north and center of Italy. He also played abroad, in Switzerland, Spain and the Canary Islands; he is currently a resident at the Detroit Club in Milan. Nowadays, he just came back from a very successful Summer in Sardinia and his new project is this smashing EP at Darek Recordings, to enjoy over and over again.